by Mitch Altman, and friends. 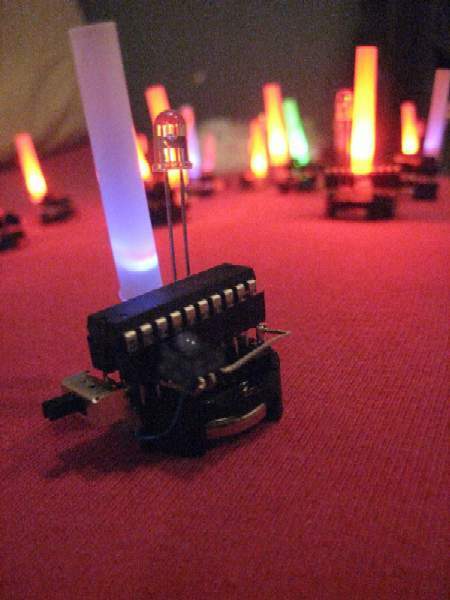 You Can Make Cool Things With Microcontrollers! The projects on this page were all created for total beginners, with no experience, to complete successfully at my workshops, or at home, or anywhere! All you need is a desire, a handful of parts, a soldering iron (with stand and sponge), a wire-cutter, a wire-stripper, solder, and an afternoon. Everything on this page (and everything I do) is free and open source! Soldering is fun! And it is easy! Really, it is! 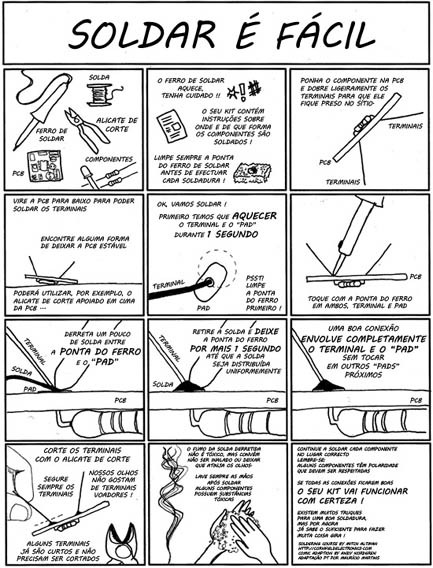 I have taught tens of thousands of people around the world how to solder. Everyone can do it! All ages, all skill levels. 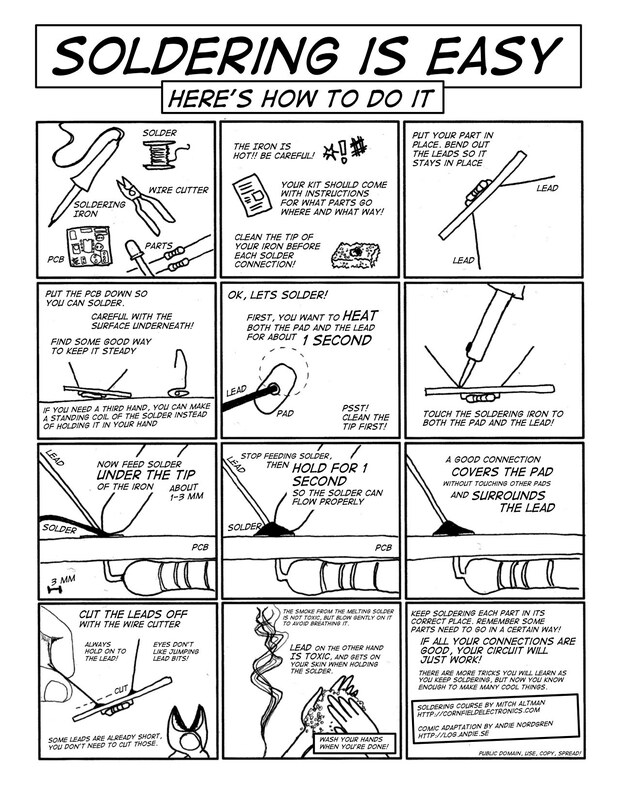 People who have never even sewn a button can easily learn to solder. Even you! 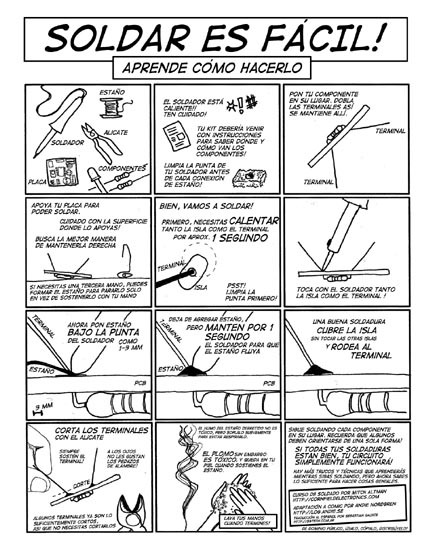 Once you learn how to make one good solder connection, you can make anything on this page. 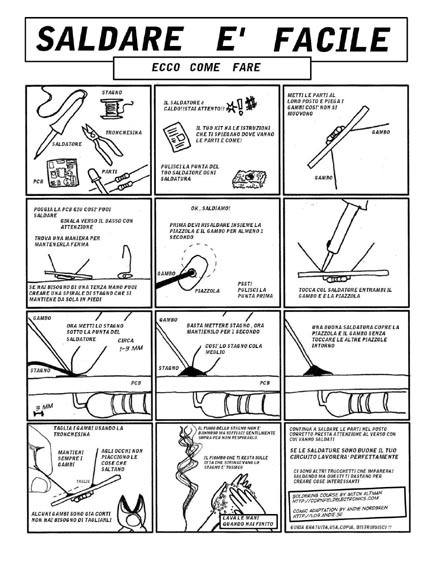 And if you can make anything on this page, you can learn to make anything with electronics and microcontrollers. I taught Andie Nordgren to solder, and she enjoyed it so much she now teaches others! 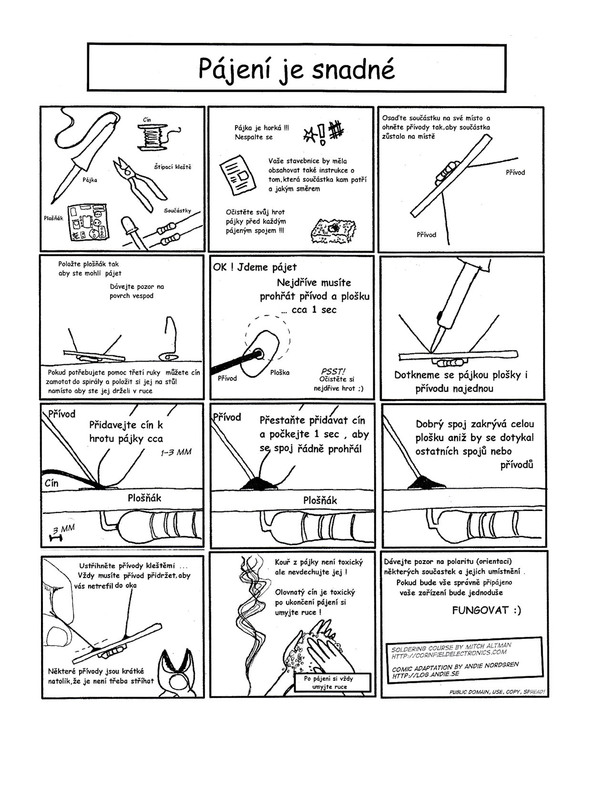 Andie is also a great artist, and she created a wonderful single-page comic reference sheet that shows the basics of soldering (and has since been translated to several languages). 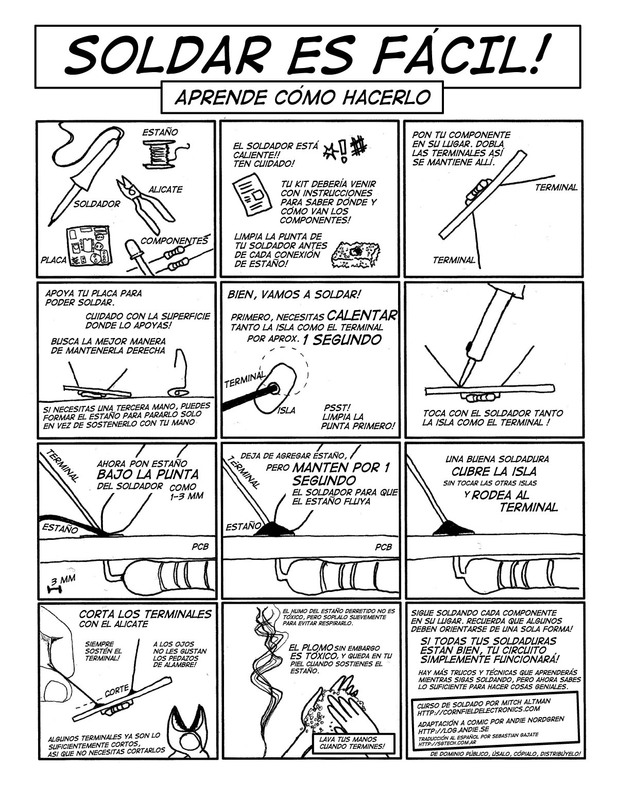 Please scroll further down for the complete "Soldering Is Easy!" comic book. in Italian, or Morse Code! 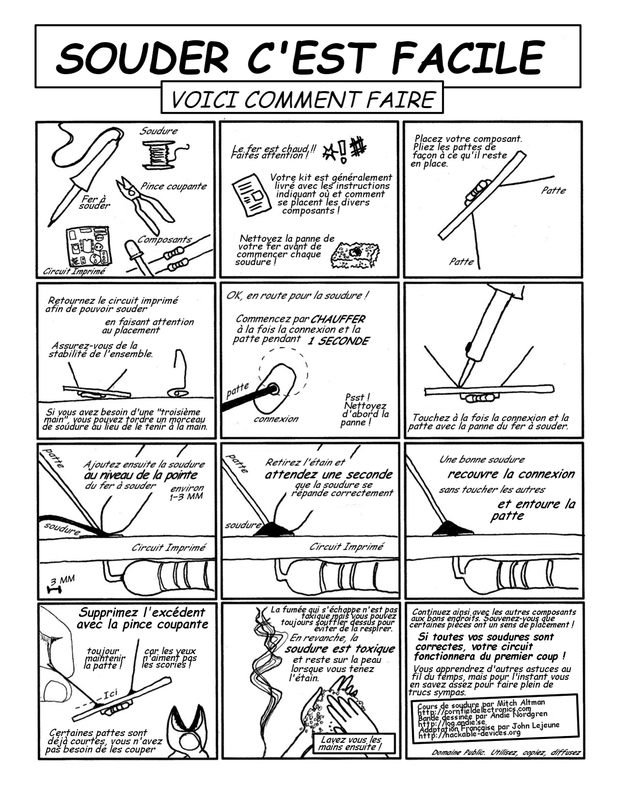 Please feel free to copy this comic, and spread it around! (and please let me know: info **AT** CornfieldElectronics **DOT** com). 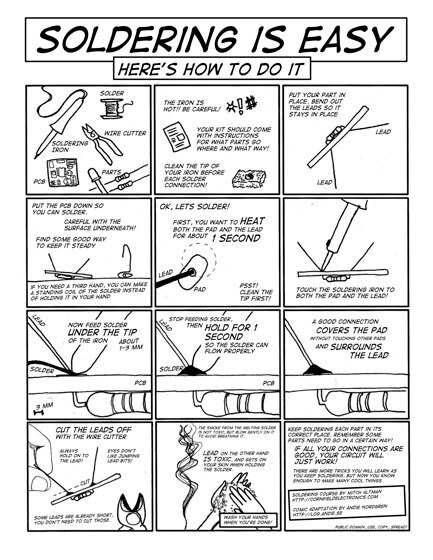 Soldering Is Easy! -- complete comic book! 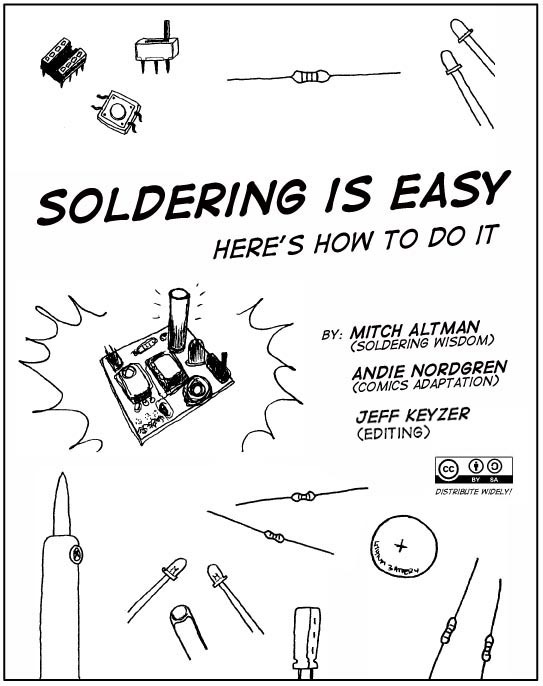 Please click on the above graphic to download your free copy of our complete "Soldering Is Easy!" comic book! It's open source -- Download it, Learn to solder with it, Copy it, Share it, Translate it, Teach with it. . . It is yours to do with as you like. to be published by No Starch Press if I ever make time to finish writing it. For excellent assembly instructions, please go to the TV-B-Gone Kit page of the of the Adafruit.com website. For questions about the TV-B-Gone Kit, please go to the TV-B-Gone Kit user forum. To see the schematic, firmware, and board layout, please go to TV-B-Gone Kit downloads. TV-B-Gone Kits are available for purchase from the TVBGone.com website. -- Learn Arduino, and make your own TV-B-Gone! 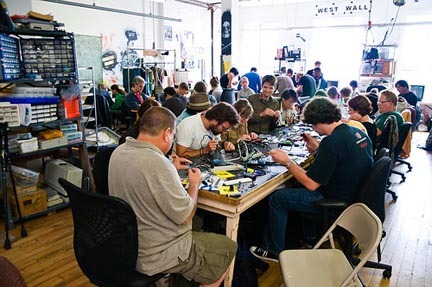 This workshop covers lots of ground -- all you need to learn how to play with Arduinos. As an example project, you can make your own TV-B-Gone using Arduino. Many thanks to Ken Shirriff for the original TV-B-Gone for Arduino project! Arduino For Total Newbies Workshop page. -- make way cool sounds and music! Solder your ArduTouch kit together, and it works! You can make way wonderful music, sound, and noise. 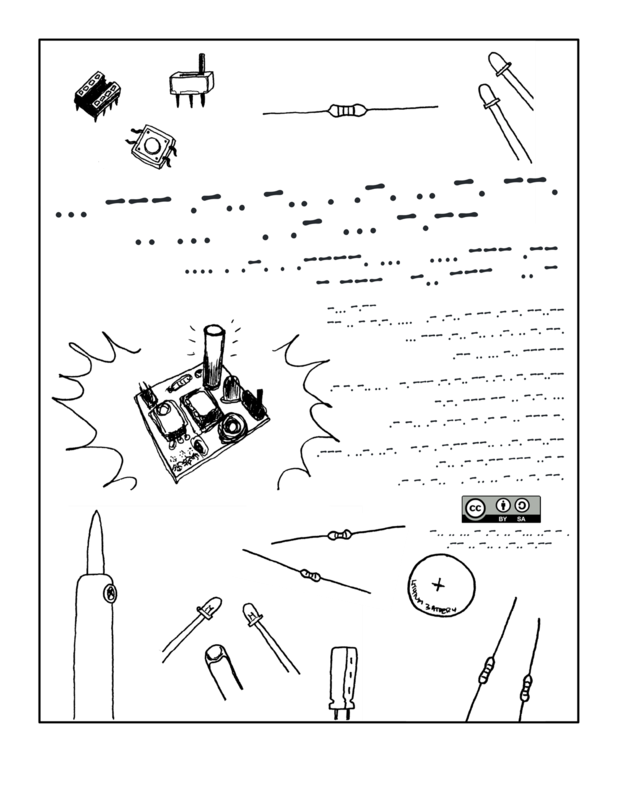 Use the ArduTouch Library or hack the existing sketches to create your own cool synthesizers. you'll need a USB-Serial TTL cable, such as an FTDI Friend or FTDI Cable, available all over the place. You will also need to download the free, open-source, Arduino software (for Windows, MacOS, or Linux). Arduino software (the latest version is fine to use). The ArduTouch library and example sketches will work on any Arduino board! The ArduTouch board behaves like an Arduino Uno. The ArduTouch Library contains everything you need to start creating your own synthesizers! It was mostly written by my friend Bill Alessi. The ArduTouch Library comes with a sequence of example sketches -- read through these and try them! As well as being way cool synthesizers, they also serve as really good tutorials on how to create your own synthesizer sketches for ArduTouch. ArduTouch Library v1.10 for ArduTouch Music Synthesizer kit. Thick is an example of a way cool, easy-to-play synthesizer sketch for ArduTouch! Check it out -- it sounds like it comes from a vintage analog Mini Moog. Instructions for how to use the Thick synthesizer. Thick was written by my friend Bill Alessi. The sketch will work on any Arduino (the ArduTouch has its own Arduino Uno clone built in). Thick uses the ArduTouch library (so be sure to download it, too -- see above). Arpology is another way cool example synthesizer sketch for ArduTouch! It is highly influenced by Brian Eno. It makes arpegios on its own, and as it plays, you can change the pattern, the speed, major/minor keys, the attack and decay, and the pitch. Lots of variations, all of which sound way cool. Arpology also has a self-play mode, in both major and minor keys, that never repeats, but continually creates beautiful (and sometimes dark) ambient sounds, patterned after J.S. Bach. Instructions for how to use the Arpology synthesizer. Arpology was written by my friend Bill Alessi. Arpology uses the ArduTouch library (so be sure to download it, too -- see above). Beatitude is another totally different way cool example synthesizer sketch for ArduTouch! It is a drum machine! It is also a real-time sequencer. You can create your own rhythm tracks, or use a preset you created earlier. While a rhythm track is playing, with the touch keyboard you can play bass live over the drum sequences. Instructions for how to use the Beatitude synthesizer. Beatitude was written by my friend Bill Alessi. Beatitude uses the ArduTouch library (so be sure to download it, too -- see above). Mantra is yet another totally different way cool example synthesizer sketch for ArduTouch! It has two preset "drone" sequences that automatically play percussion/bass/drone-melodies. With the touch keyboard you play lead over the drone. Mantra is designed so that it is almost impossible to play something that doesn't sound good. The keyboard uses an exotic non-western tuning. The white keys are your scale, and the black keys repeat one of the neighboring white keys with a built-in bend added. Instructions for how to use the Mantra synthesizer. Mantra was written by my friend Bill Alessi. Mantra uses the ArduTouch library (so be sure to download it, too -- see above). Xoid is yet another totally different way cool example synthesizer sketch for ArduTouch! It makes very noisy, electronic sounds, as well as some very beautiful ones. Experiment with the presets, or come up with your own sounds with Xoid. Lots of cool sounds await you. Instructions for how to use the Xoid synthesizer. Xoid was written by my friend Bill Alessi. Xoid uses the ArduTouch library (so be sure to download it, too -- see above). 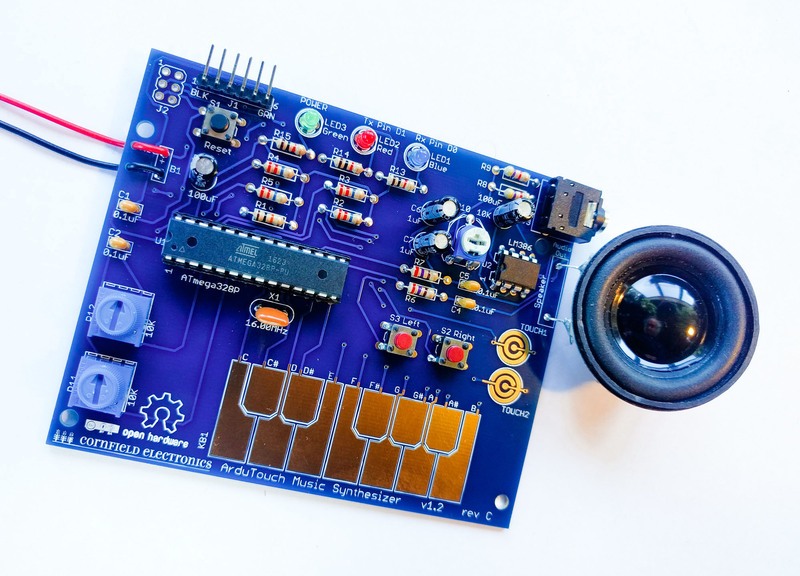 ZapShot is another crazy noisy and wonderful example synthesizer sketch for ArduTouch! It makes very noisy, electronic sounds, that are sometimes reminiscent of video games, sometimes just out of this world. Experiment with the presets, or come up with your own sounds with ZapShot. Instructions for how to use the ZapShot synthesizer. ZapShot was written by my friend Bill Alessi. ZapShot uses the ArduTouch library (so be sure to download it, too -- see above). DuoPoly is an example sketch that shows off a lot of the ArduTouch music synthesizer's capabilities. DuoPoly uses the ArduTouch library (so be sure to download it, too -- see above). DuoPoly v2.49 synthesizer sketch for ArduTouch Music Synthesizer kit. 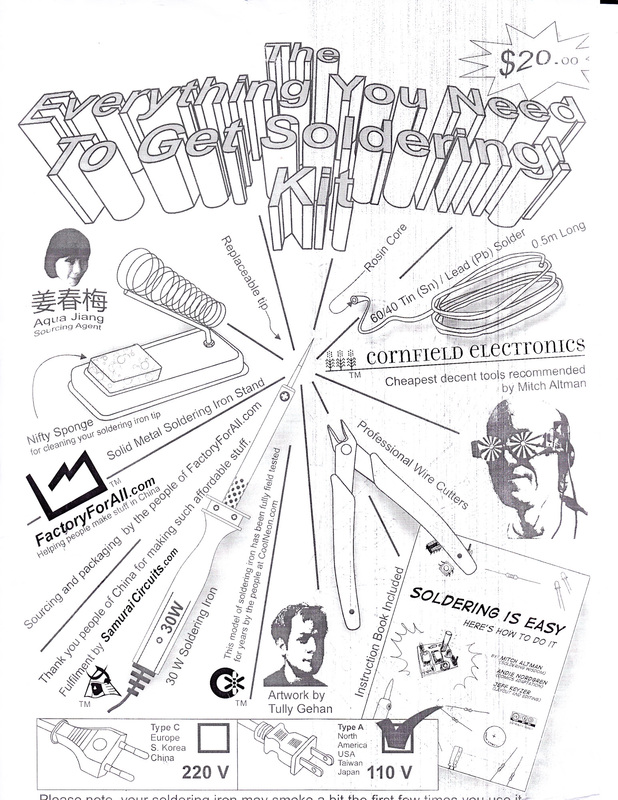 These Soldering Toolkits are finally available for sale! My friend Tully lives in Shenzhen, China, and has access to lots of cool resources there. 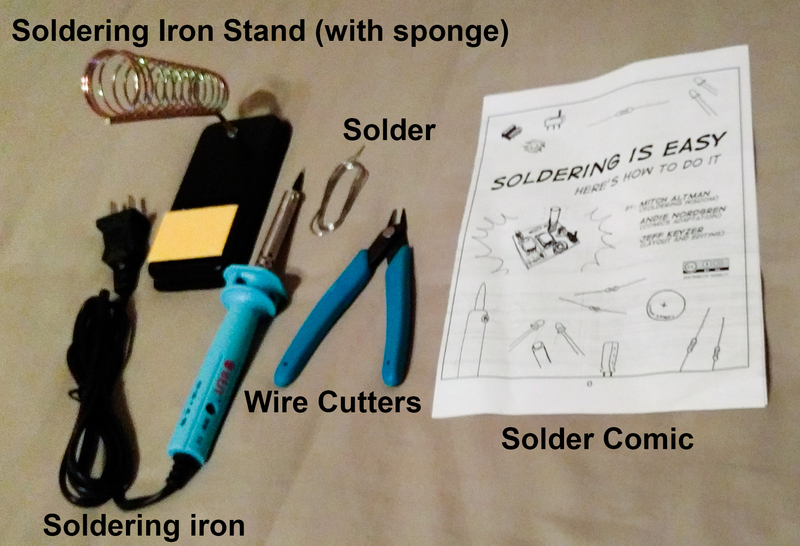 Together, Tully and I found the best inexpensive soldering tools available, and put them together in this toolkit for you. At the San Francisco Maker Faire in May, 2008, Mitch and Rolf released our Mignonette Game kit. 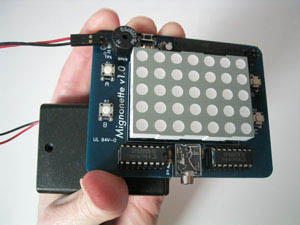 Mignonette is a small hand-held game that has an LED matrix instead of an LCD. It is very simple to build, even for people who have never built anything before, and great for learning how to make things with microcontroller chips. Based on the Mignon Game Kit,, but with two-colored LEDs, and other added features, Mignonette comes with a game we wrote called Munch (with more games to come). All hardware and firmware are open source, and are easily hack-able. We have a separate website for our Mignonette Game, where you can find detailed info, including schematic, firmware, and PCB layout. 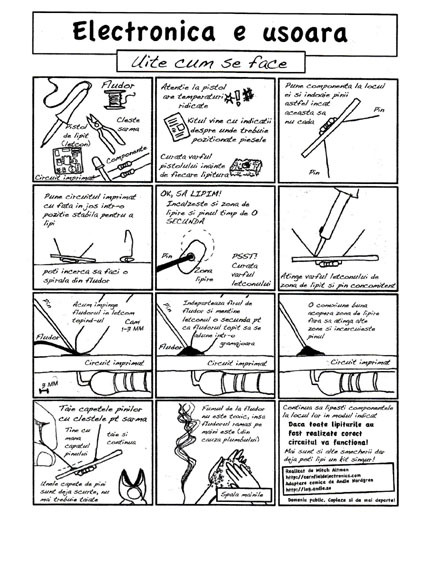 The Mignonette Game Kit is available for purchase from the Makezine.com website. You can also purchase a Migonette Game kit in Europe from hackable Devices. The Trippy RGB Waves project (see below) was so popular that I created a kit for it. 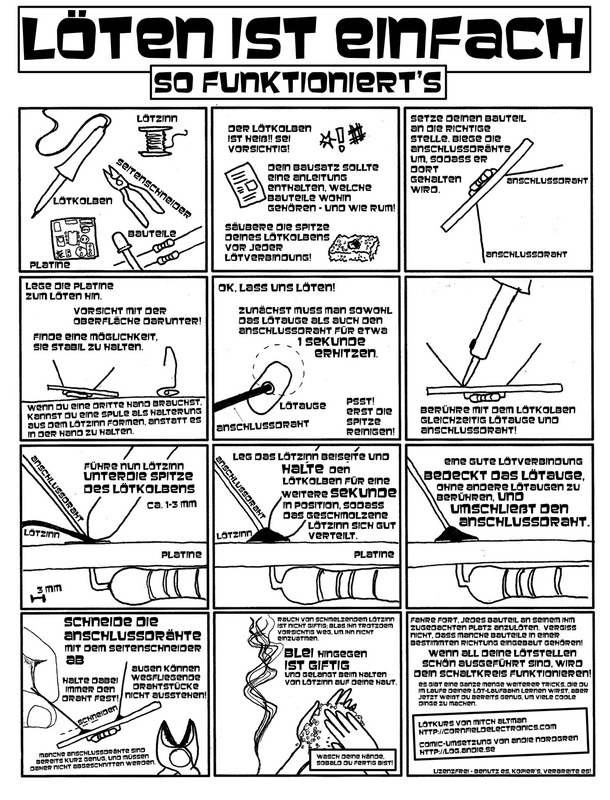 Trippy RGB Waves Kit assembly instructions. Trippy RBG Waves Kit firmware. And here is the makefile. 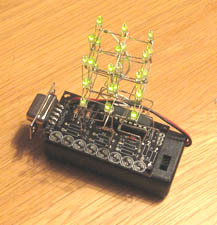 The schematic is available at Trippy RGB Waves Kit schematic. 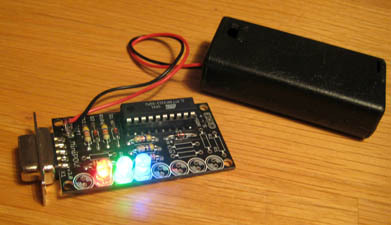 The list of parts (with part numbers) is available at Trippy RGB Waves Kit Bill of Materials. 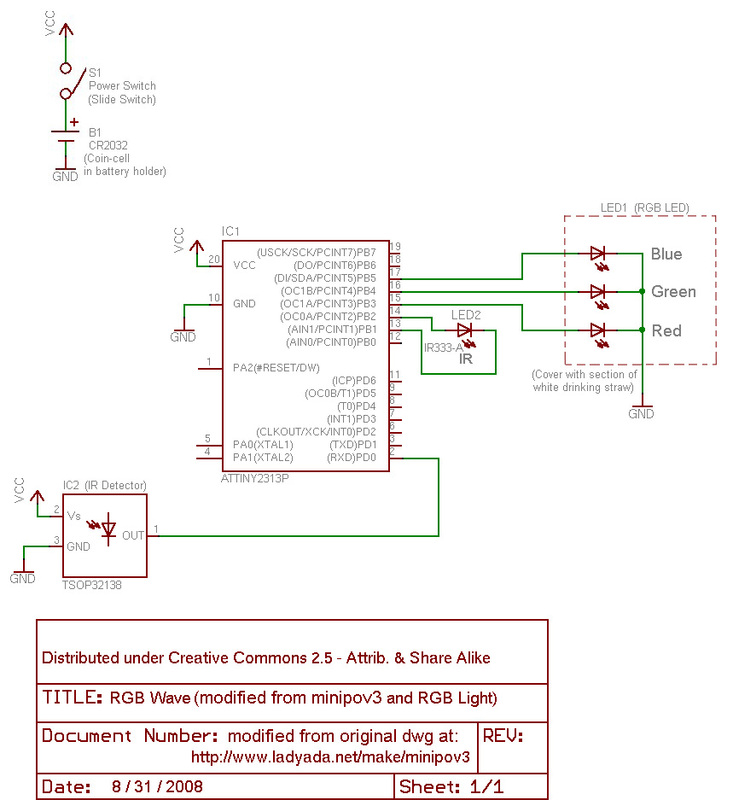 The PCB layout is available at Trippy RGB Waves Kit gerber files (zipped). To see a video of this project in action, please go to Trippy RGB Waves project video. Here is a video of someone (very quickly) building the kit! Project: Make your own Arduino-compatible LEDcube Kit v2! 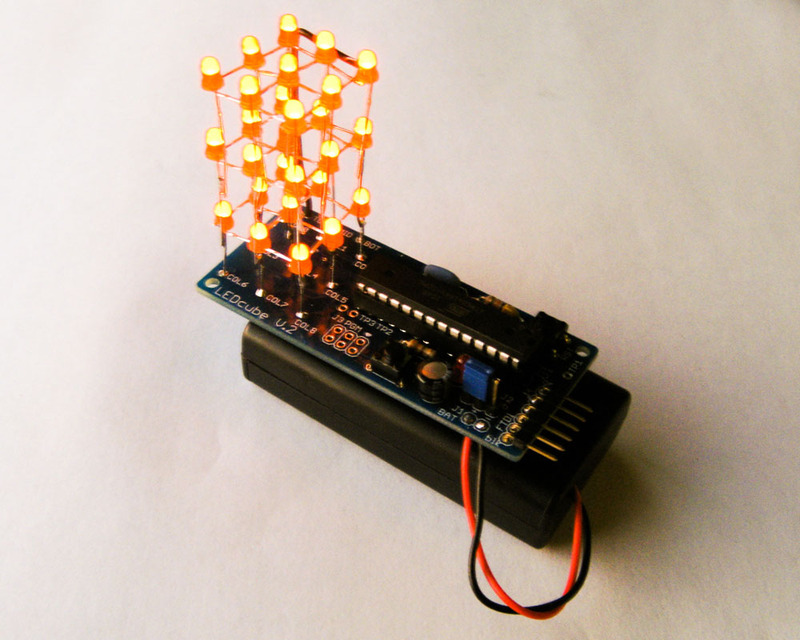 An animated 3D cube of LEDs! This is a small 3x3x3 single-color version of the amazing color 3D Borg cube by Das-Labor. To see a video of the kit in action, please go to LED Cube video. Here are the the complete assembly instructions for the LEDcube v2. Here's the Arduino sketch for the LEDcube kit v2. Here is the the LEDcube v2 Bill of Materials for the LEDcube v2. Here is the the LEDcube v2 Schematic for the LEDcube v2. (and the others were inspired by it). 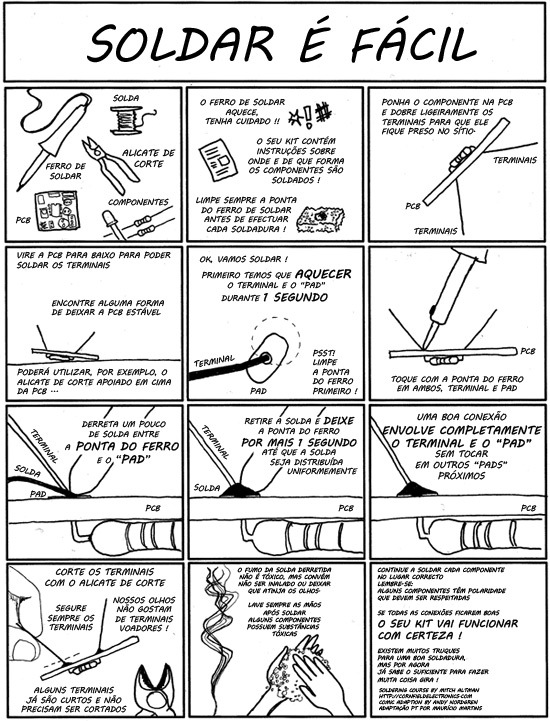 For excellent instructions on building the MiniPOV3! kit please go to Ladyada's MiniPOV3! kit. For the firmware source code for the MiniPOV3, please go to MiniPOV3! firmware. And here is the makefile (these are not needed for the other projects on this page). Unfortunately, you can no longer purchase a MiniPOV3! kit. But the open source files are all available or on the MiniPOV3 website. This was written by Ben Perkins, who gave me permission to share it. -- Thanks Ben! All of the projects on this page use Atmel AVR family microcontrollers. The Atmel ATtiny2313 is the microcontroller used in the MiniPOV3. 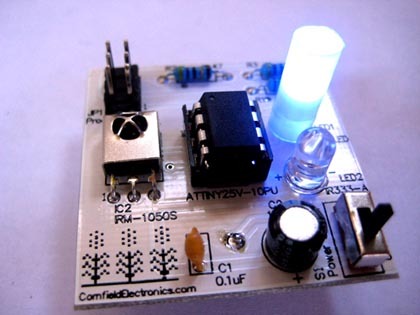 For the datasheet, please go to Atmel AVR ATTiny2313 datasheet. For the AVR family instruction set, please go to Atmel AVR family instruction set. For a really great online user community of support for all Atmel AVR microcontrollers AVR Freaks is the place to go, where geeks from all over the world are awake day and night wanting nothing more than to answer your questions! You can easily set up your computer to program AVR microcontrollers! are available on the Mightyohm website. I ordered most of the parts from Mouser. The rest of the parts I ordered from Jameco (also a good place for decent, inexpensive tools). Digikey is also a good place. and enjoy as you hallucinate beautiful colors and patterns from your subconscious mind! This was my first AVR project. It is easy for anyone to make because it is hacked from the super easy to make MiniPOV3 Kit. 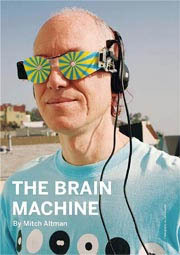 Since writing the Brain Machine article in MAKE, I have learned how to make the Brain Machine better. Here is an updated and annotated version of the original MAKE Magazine article. 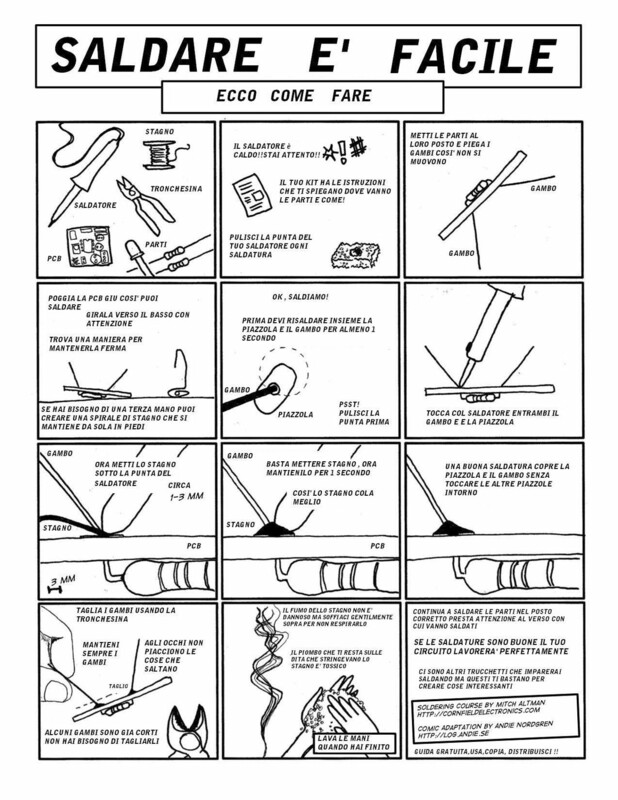 If you bought a Brain Machine Kit from me, it came with a single-page instruction sheet. 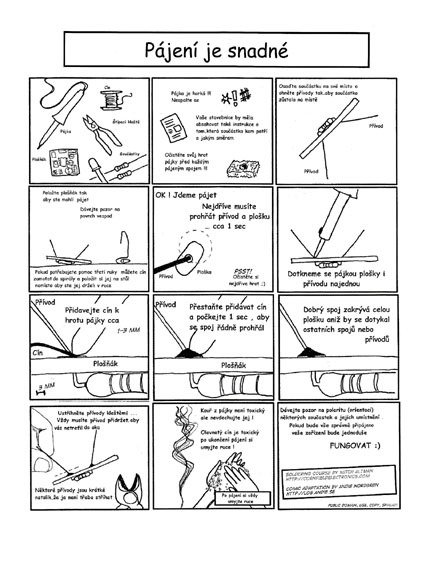 A copy of the instruction sheet is available here. I made a slight update to the Brain Machine firmware: use a more pleasing base frequency for the sound. For the updated firmware, please go to the latest SLM firmware. The sound with this updated firmware will be even better if you use 2.2K ohm resistors for R5 and R6 instead of 1K, as it says in the MAKE article. For an updated schematic, please go to the latest SLM schematic. Here is where to download the original cool graphix for the glasses. And check out these additional cool graphix by Michael Wertz (thanks Michael!). (which cost $2.90 each), please go to Glasses Template 1. (which cost $2.90 each), please go to Glasses Template 2. You can buy the latest version of the Brain Machine kit (which is not hacked from the MiniPOV3), from Ladyada's website. This is a manufactured, ready-to-use (not a kit) version of the Brain Machine. 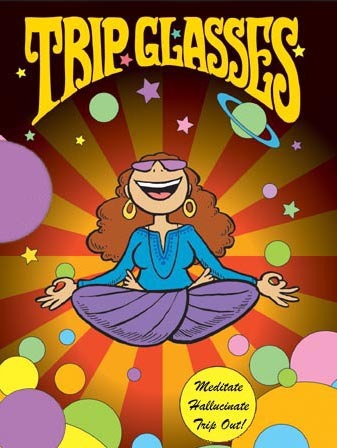 TripGlasses are no longer available for purchase. This is NOT the TV-B-Gone Kit -- see above for the TV-B-Gone Kit. For the firmware source code for North America, please go to TV-B-Gone NA firmware. For the database of North American TV POWER codes, please go to TV-B-Gone NA POWER codes. For the firmware source code for Europe, please go to TV-B-Gone EU firmware. For the database of European TV POWER codes, please go to TV-B-Gone EU POWER codes. For the makefile for both NA and EU firmware, please go to makefile. For the schematic, please go to TV-B-Gone schematic. For the newer LEDcube Kit please scroll up! Here are the the complete assembly instructions for the LEDcube. And here is the makefile for both of the above. Visually program your own LEDcube animation sequences!" visually design your own animation patterns for the LEDcube. The results can be easily pasted into my firmware and programmed into the LEDcube. (When creating Code, choose "Height-depth-width order"). This works best using Firefox. Here is the the LEDcube Bill of Materials for the LEDcube. 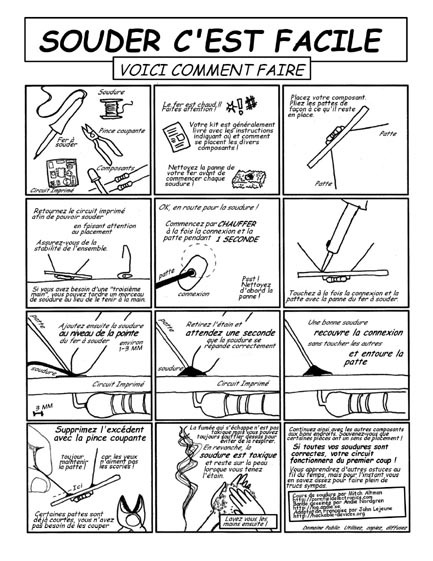 It is available for purchase from the Makezine.com website. It is also available for purchase in Europe from hackable Devices. 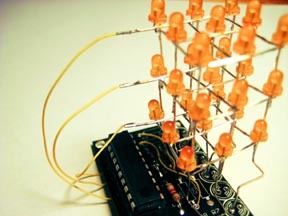 This was the first project made at NYC Resistor, a hacker space that started in New York in 2008. After coming back from the Chaos Communications Congress, we were so inspired by the color 3D Borg cube by Das-Labor, a German hacker group, that me, Bre, and George decided to build our own miniature LEDcube. For a Weekend Project video for how to make this project, please go to Make an LED Cube. For the firmware source code, please go to LED Cube firmware. To see a video of this firmware in action, please go to LED Cube video. To see some close up photos of the hardware I built, please go to LED Cube photos. This is NOT the Trippy RGB Waves Kit -- see above for the Trippy RBG Waves Kit. I created this project while artist in residence for the month of August, 2008 at AS220, an arts space in Providence, RI. Imagine a bunch of little lights (maybe 20 or 40 of them), on a table, each about the size of a chess piece. Each is independent of the other. You arrange them around on the table any way you want. Each one continually slowly changes colors on its own. When you wave your hand over them, it creates waves of colors that follow your hand. I hacked this project from the Trippy RGB Light (see below), (which was hacked from a MiniPOV3 kit). I didn't use a PCB, but soldered all components directly together, and added an IR emitter and an IR detector to sense when you wave your hand over it, and when you do, it resets the RGB sequence from the beginning. The net effect, when you wave your hand over a table-full of them, is that waves of colors follow underneath your hand. For the firmware source code and technical description, please go to Trippy RBG Waves firmware. For the schematic, please go to Trippy RGB Waves schematic. Trippy RGB Waves project photos. A mood light that sequences through all sorts of changing colors. Trippy! 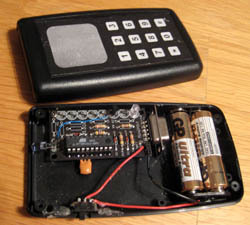 This is a very easy hack from the MiniPOV3 Kit. which I turned into the Trippy RGB Waves kit (see above). For the firmware source code, please go to RGB Light firmware. For the schematic, please go to RGB Light schematic. To see a high-res photograph of the Trippy RGB Light, please go to Trippy RGB Light photo. 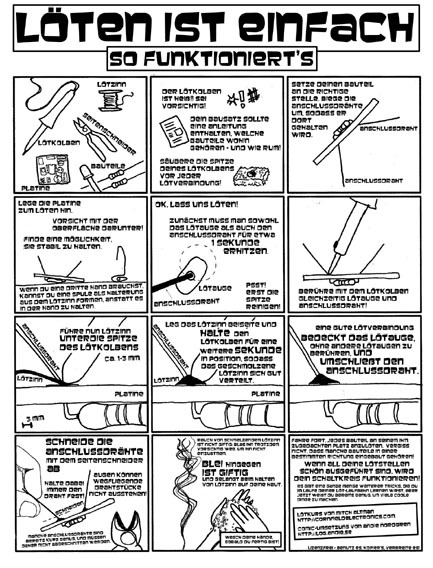 For detailed assembly instructions, please go to Trippy RGB Light assembly instructions. The list of parts (with part numbers) is available at Trippy RGB Light Bill of Materials. This excitable guy sings and dances when he eats light. 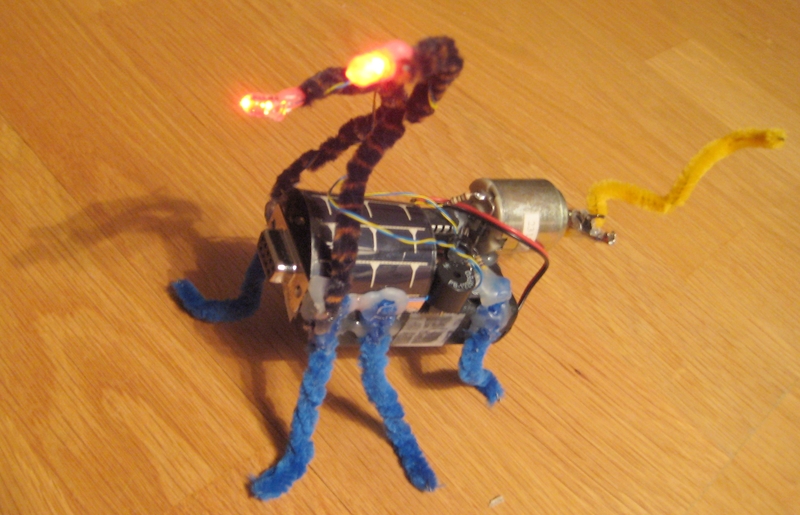 He is a vibrabot, with an off-balance motor, speaker, and solar panel, hacked from a MiniPOV3 kit. For the firmware source code, please go to BugBot firmware. For the schematic, please go to BugBot schematic. The list of parts (with part numbers) is available at Solor BugBot Bill of Materials. To see a high-res photograph of the BugBot, please go to BugBot photo. Benny, of Cool Neon gave a presentation using EL-Wire at my booth at San Francisco Maker Faire 2007. 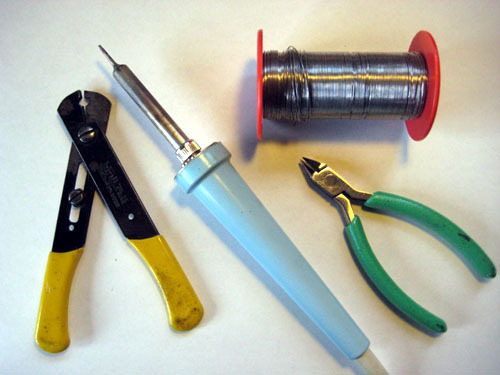 You can order EL-Wire and associated supplies at the CoolNeon.com website.